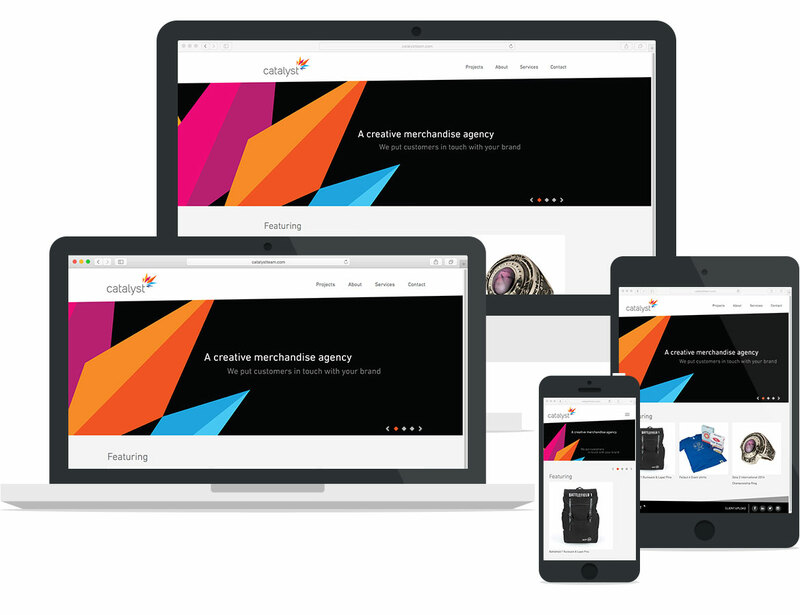 The Catalyst team wanted a to work with a partner who could deliver on a high-quality website, something that fit their brand, an evolving logo and still display their work. The design process on for this project included 3 initial homepage options, each exploring the brand angles and color in different ways. Catalyst selected an option that included angled banners, angled overlays for portfolio items and slices taken out of images. Part of the project for Catalyst included a clear way for them to show the high quality work they do. Catalyst has many amazing clients like Nike, Bethesda, and Starbucks. A portfolio page that pulled in the Catalyst brand was essential. 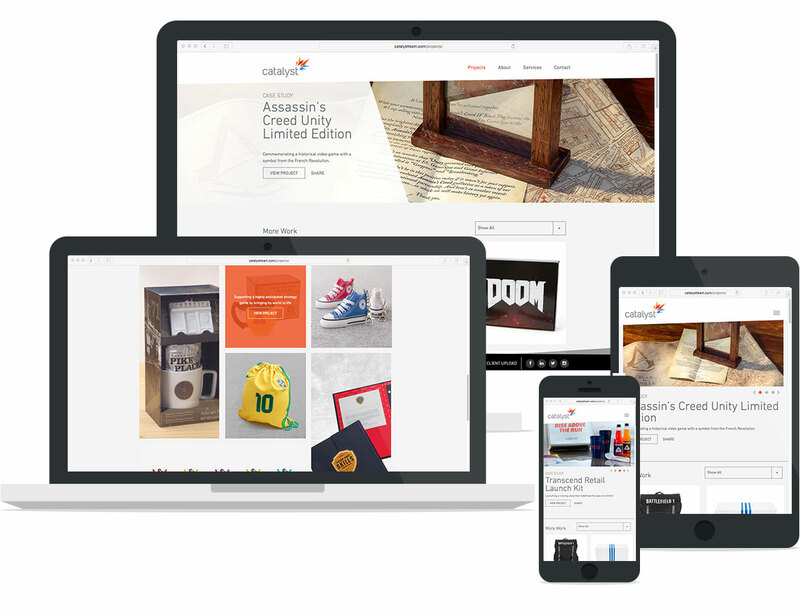 From slicing the banner image to custom animated overlays for portfolio pieces, attention to detail was critical to display Catalyst amazing work.